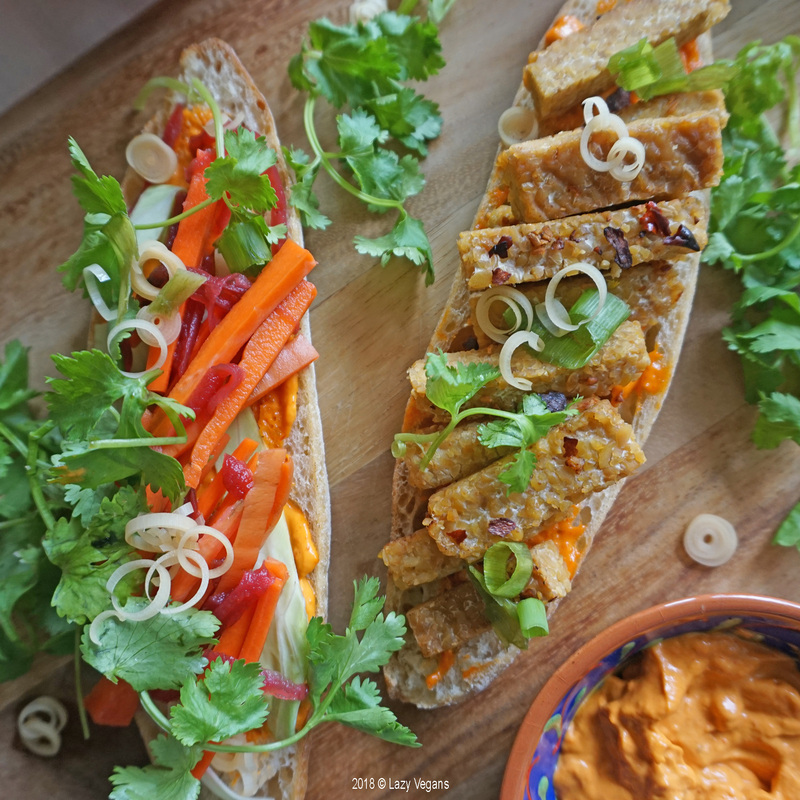 When I reminisce about my previous life as a pescatarian backpacker, the humble, hearty sandwiches of Vietnam, Laos and Cambodia remain vivid on my taste buds — a visceral remnant of their French colonial past. Every morning I scoured the town for the little street carts that would fuel me for the day ahead. 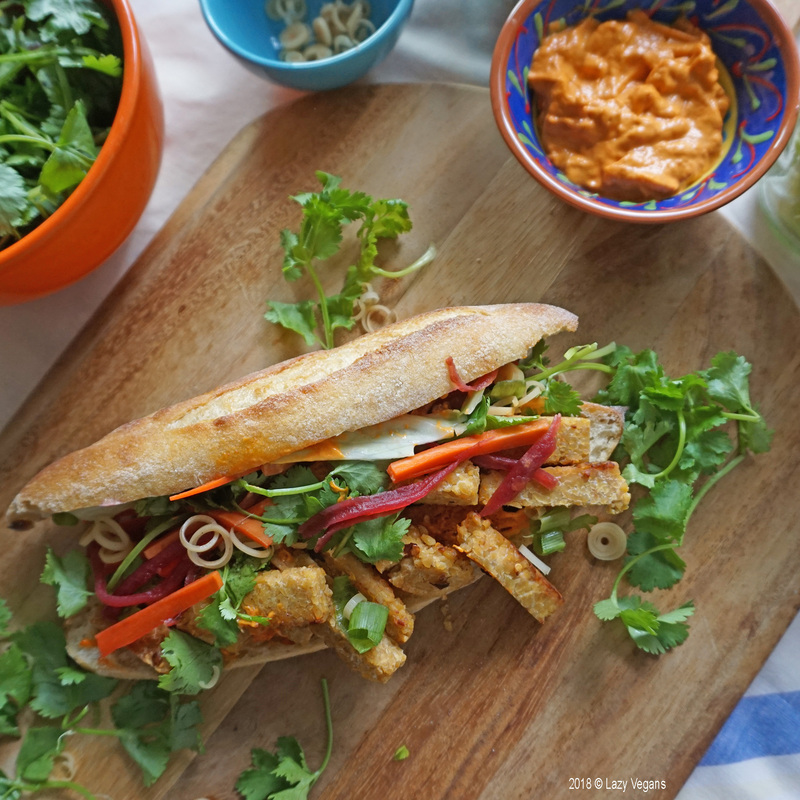 Vendors would assemble pickled carrots, radish and cucumber, fried egg or tofu smeared with mayo or chili sauce, under a canopy of cilantro and green onion. The contents of my sandwich were nestled in a fresh baguette: warm and doughy on the inside, its toasted exterior more crusty than my old neighbour Dominic. A sudden waft of fish sauce would balance the textures with a hit of umami. 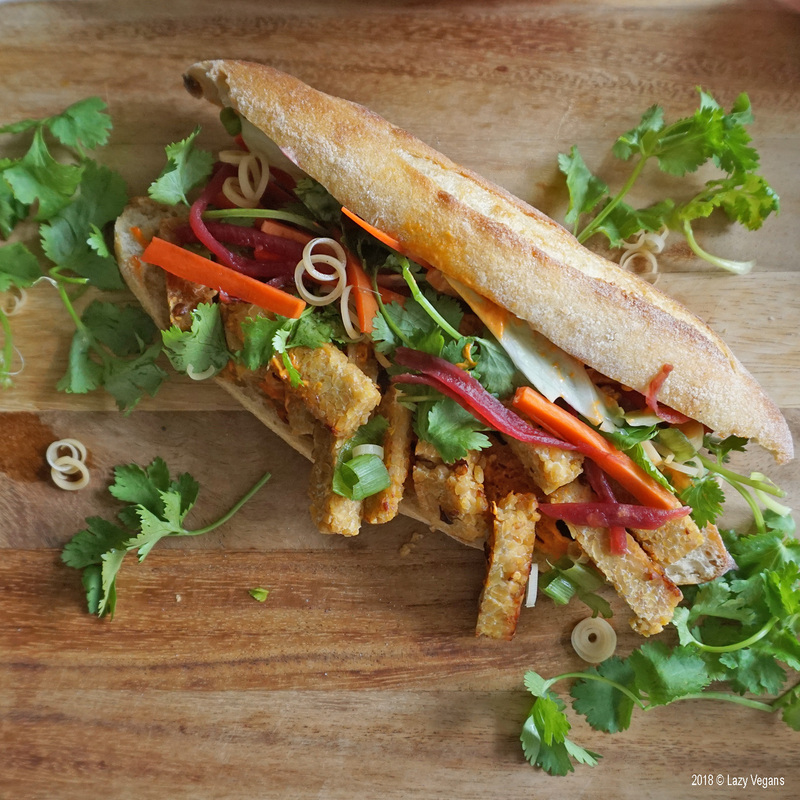 Below is my veganized version of the best sandwich ever invented. As for a non-fishy source of umami, tempeh and soy sauce will do the trick. In a jar, mix the rice vinegar, warm water, sea salt and sugar. Add carrots, beets and cabbage. Make sure the liquid covers the vegetables. Soak in the fridge overnight. Notes: Crunchy veggies like cucumber and zucchini would also work. 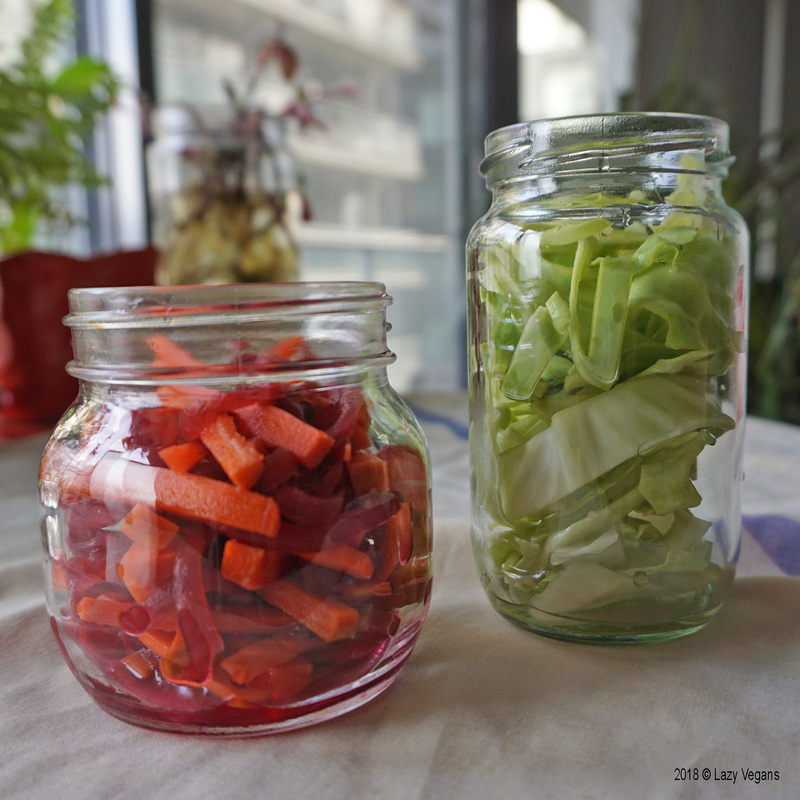 When pickling, I skip the sugar because rice vinegar is already sweetened. Wash and prep the toppings so that the sandwich filling is ready to assemble when the baguette is toasted. Heat a fry pan to medium. 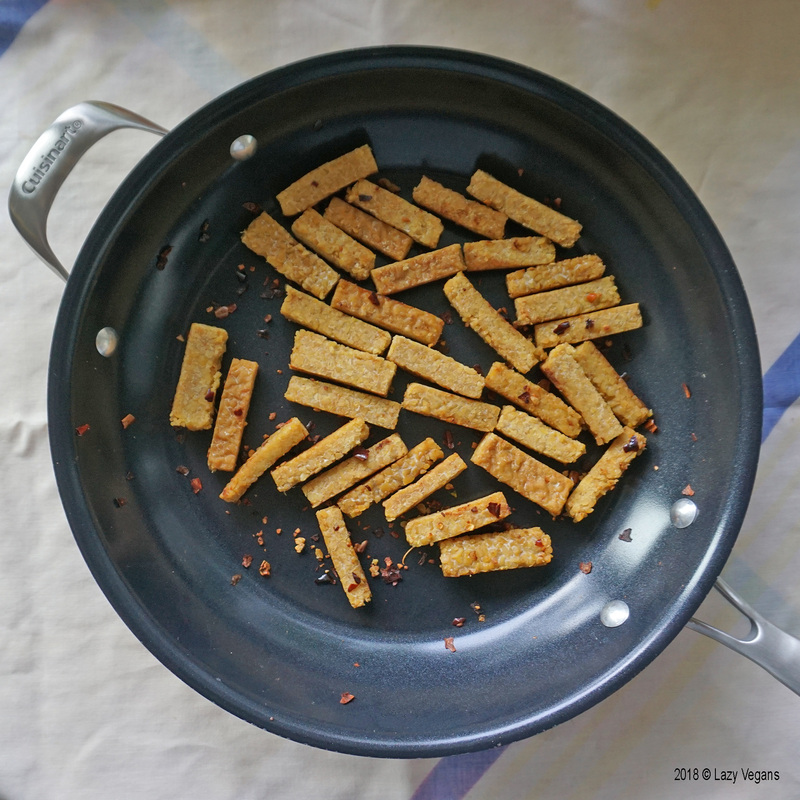 Sauté the tempeh in soy sauce or tamari for 8 to 10 minutes. Here, I used a citrus ponzu sauce for its hint of lime. Slice each baguette through the middle. Tip: if you have lots of filling, slice the baguette on one side only to prevent the filling from falling out. Toast in the oven or in the same pan until they are lightly browned. Spread the mayo or chili sauce on both sides. Add the tempeh to one side. Add the vegetables to the other side. Garnish with lemongrass, green onion and cilantro.